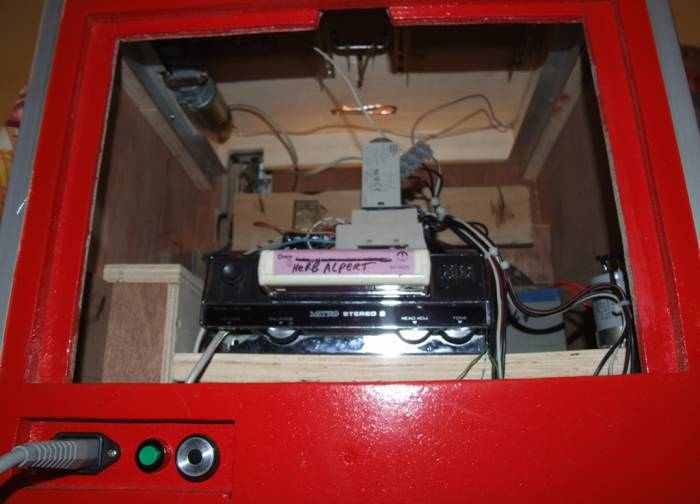 A custom, hand-made jukebox and a custom bimbo box, this is something you don't see often. However I stumbled upon these machines walking around at the 2007 indoor Rock around the Jukebox show. A lot of visitors probably never saw these or didn't realize how unique these were. I first noticed the small bimbo box and talked to the seller at the booth about it. When I said his machine seemed rare as I never had seen a bimbo box that small, he answered me that's because he made them himself. 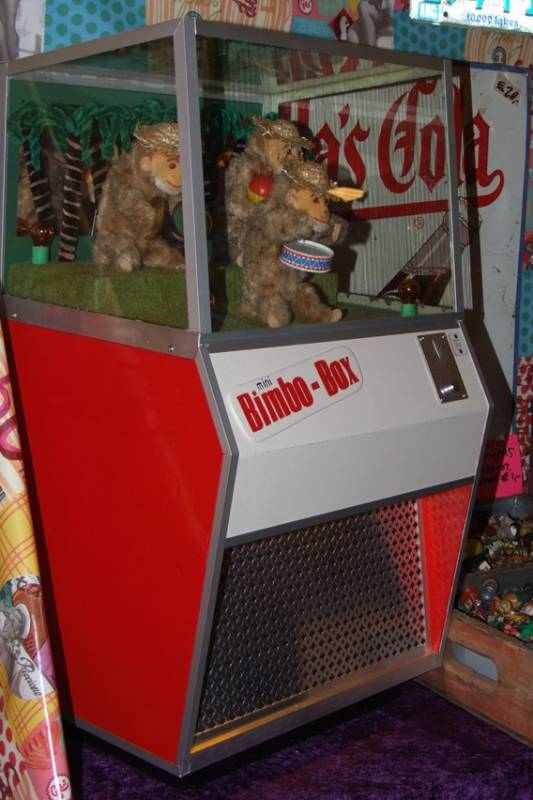 A custom made bimbo box ? That's interesting ! The bimbo box is about half the size of a normal bimbo box. It has three monkeys that move and play an instrument when you drop a coin in it. 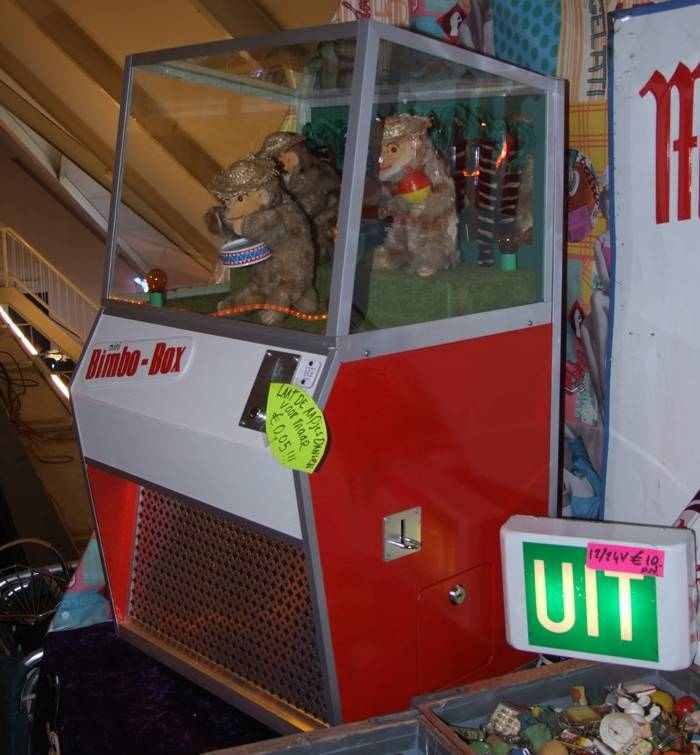 The machine is created by hand - the moving monkeys were bought as toys, the cabinet is handmade and mechanics to make it work were also custom designed. The music comes from an eight-track player. It's a very impressive machine, didn't look like something custom made at all. 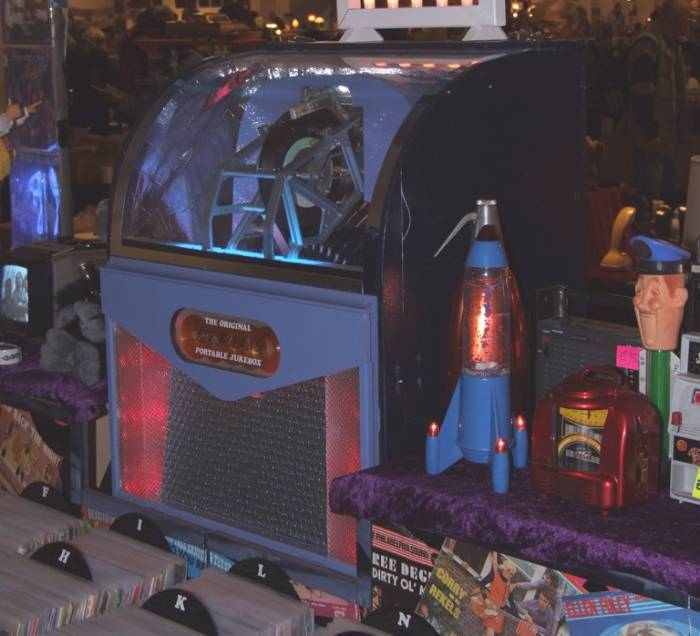 This person also had a custom jukebox at his booth. 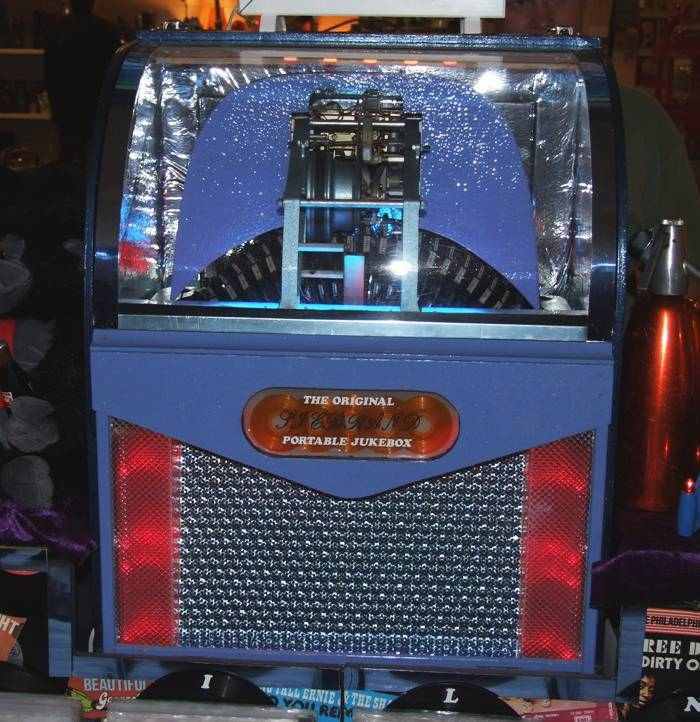 Also about half the size of a real commercial jukebox, but this machine worked completely and played records. The internals (record drum) came out of a real jukebox. There was no selection unit, when switched on the jukebox plays every record after eachother.